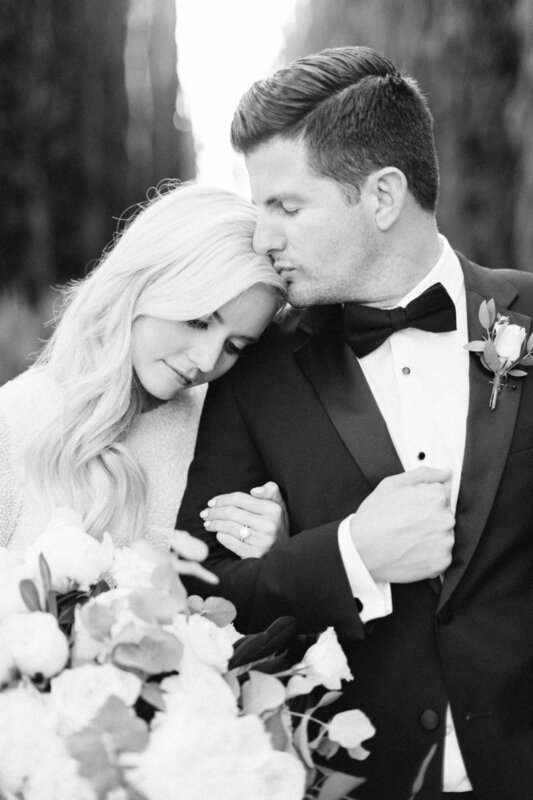 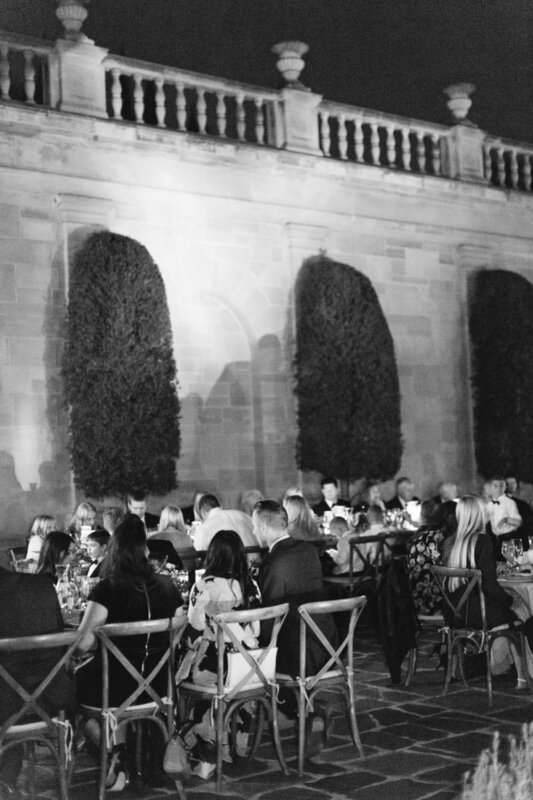 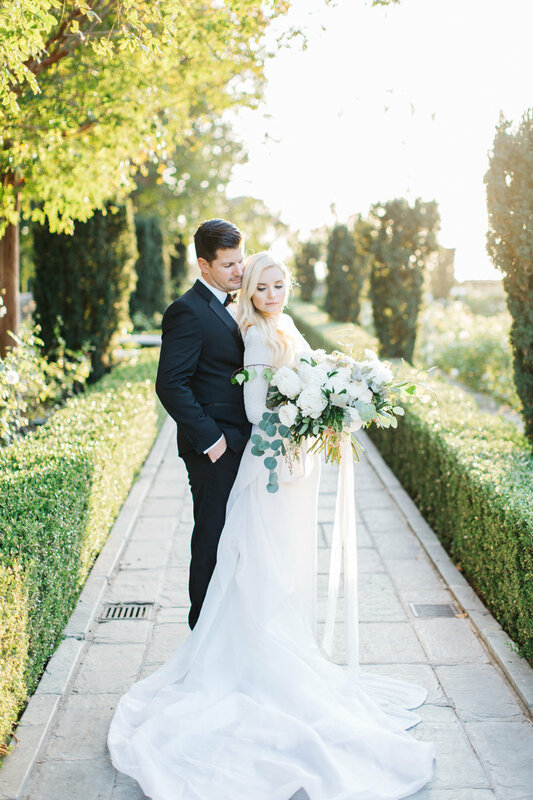 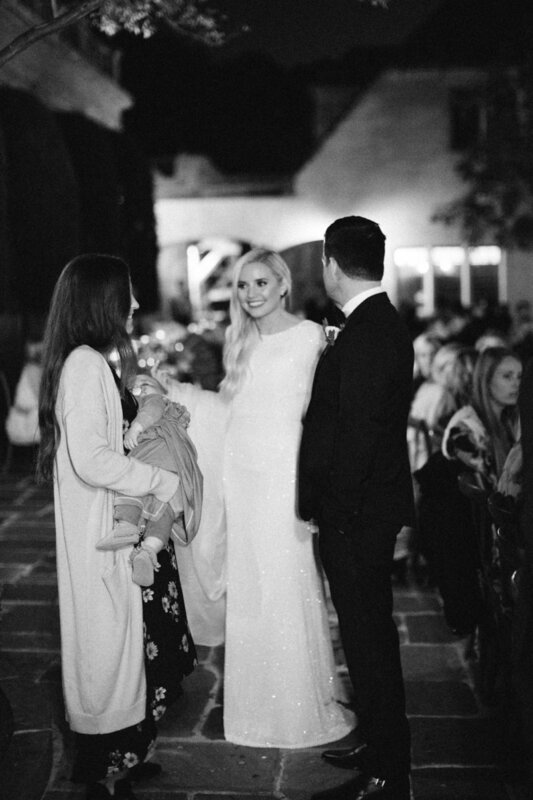 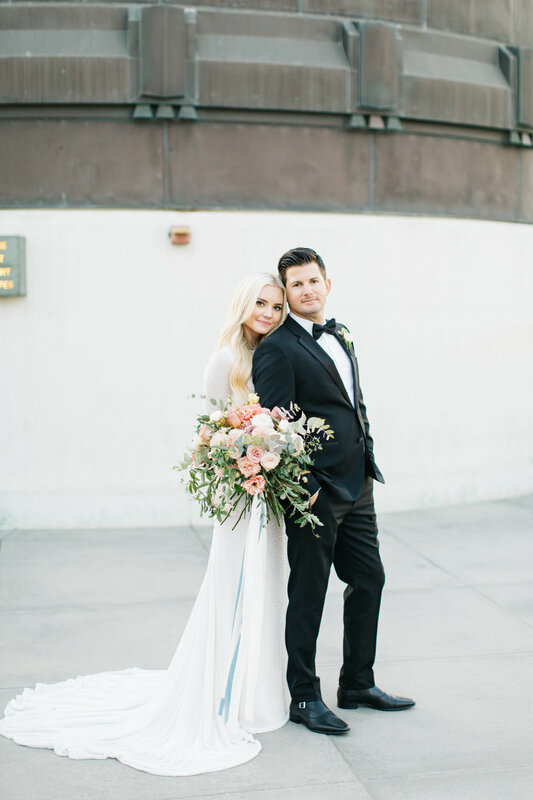 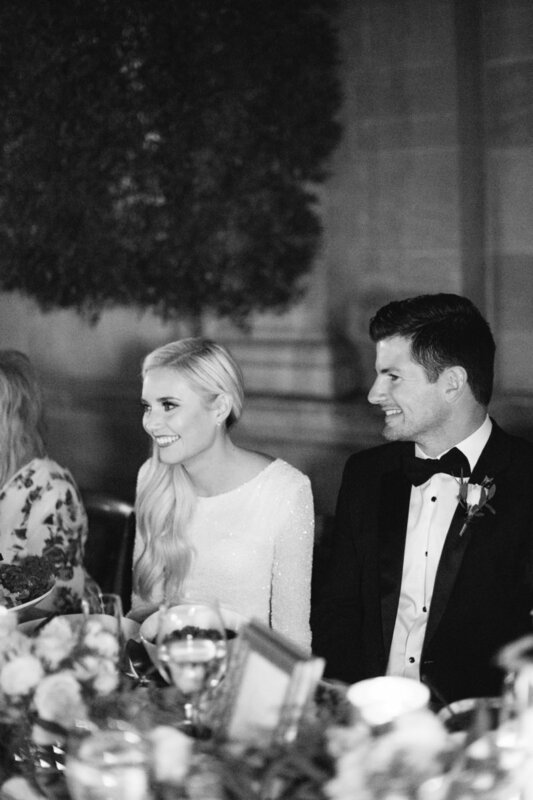 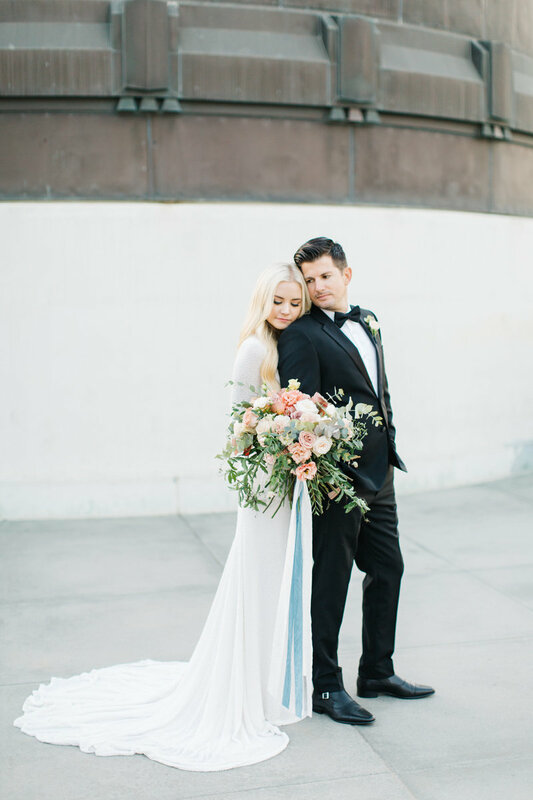 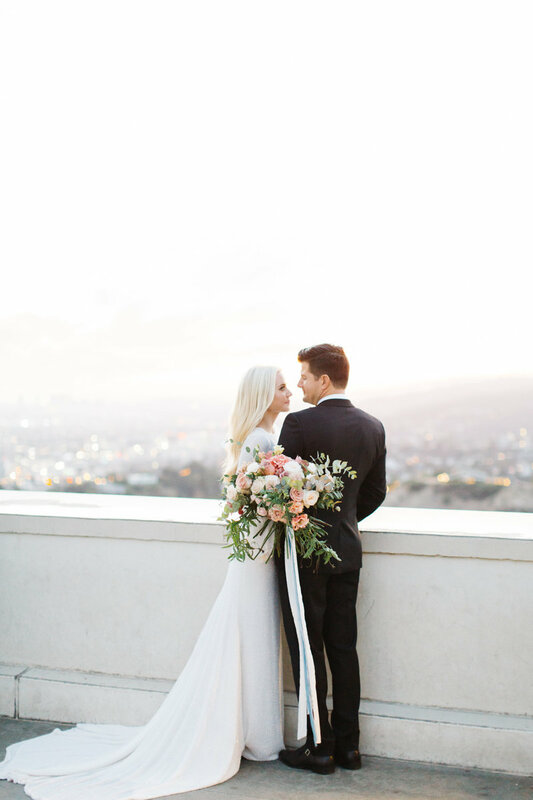 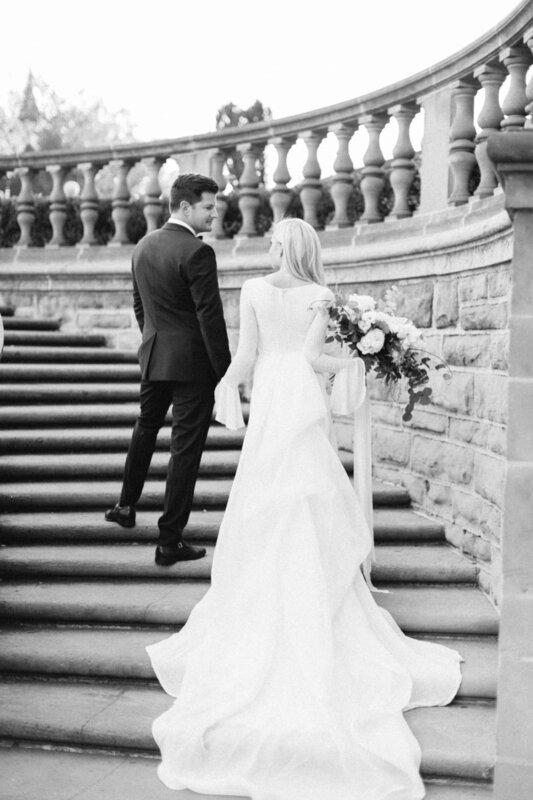 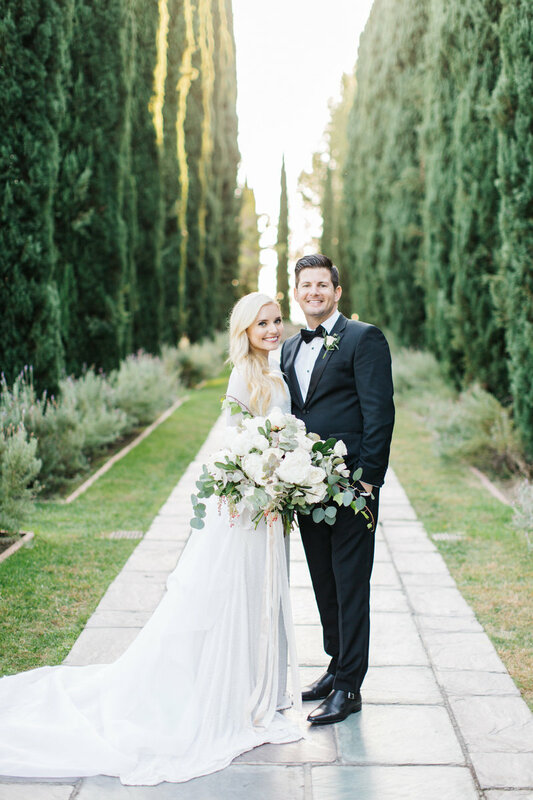 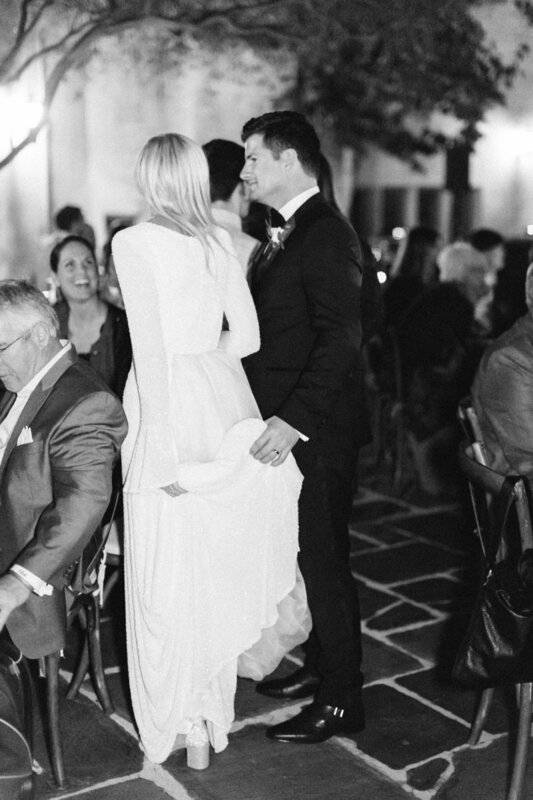 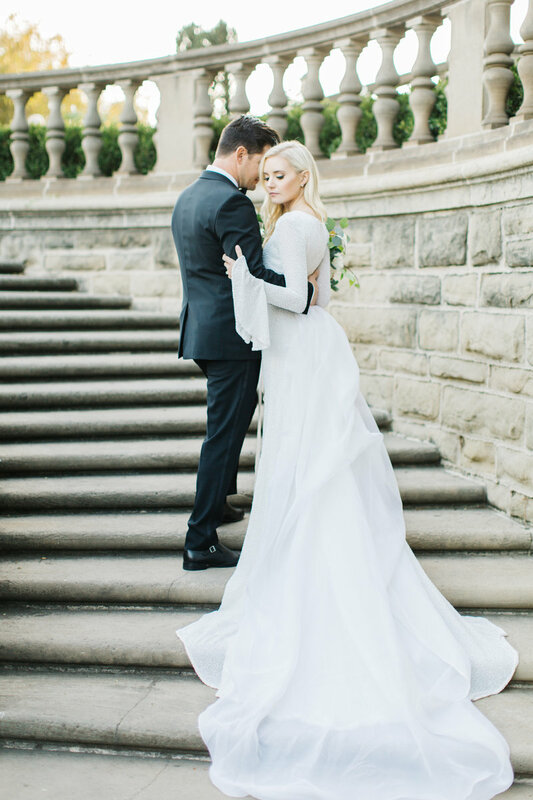 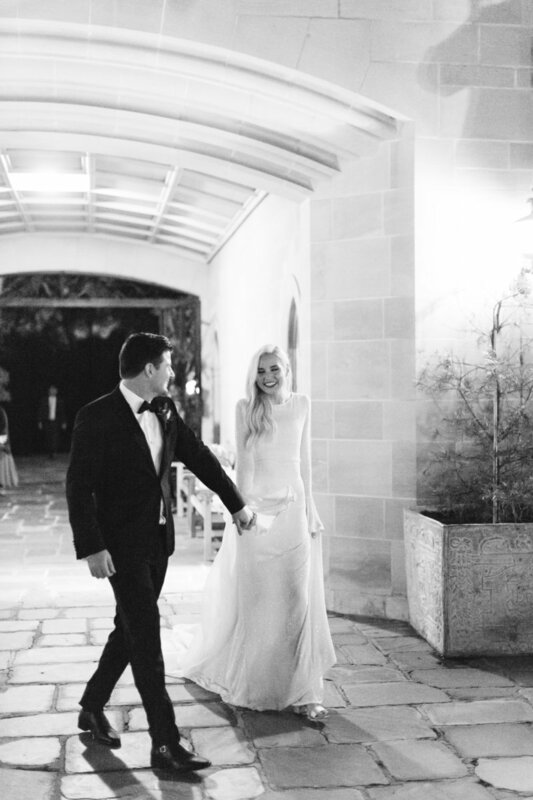 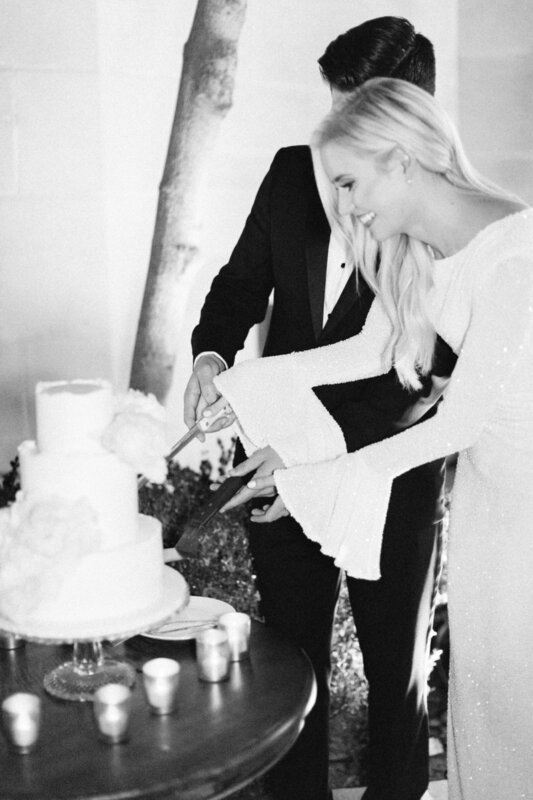 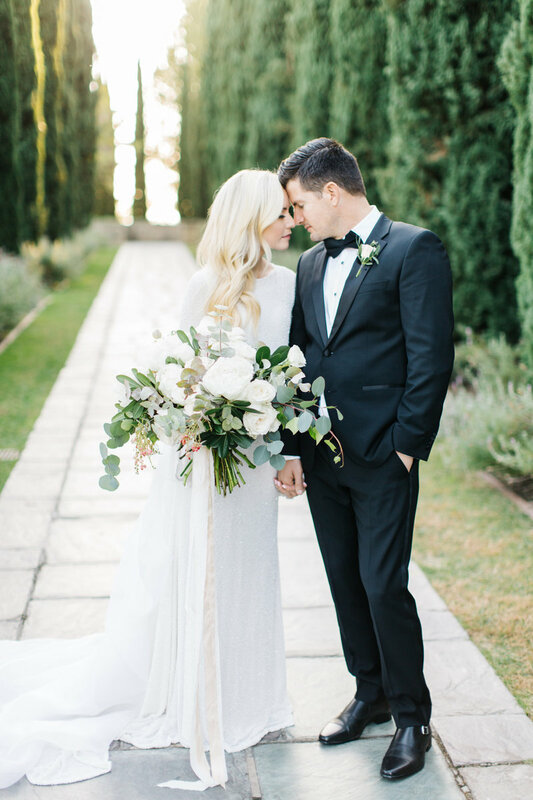 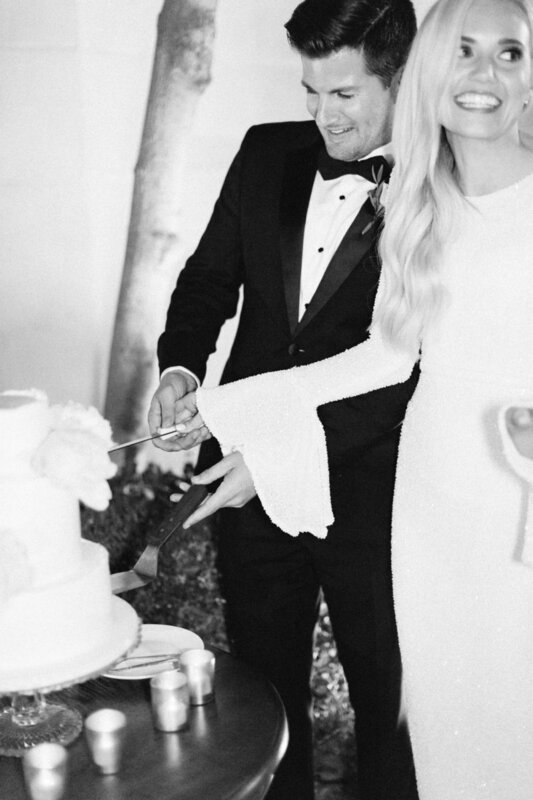 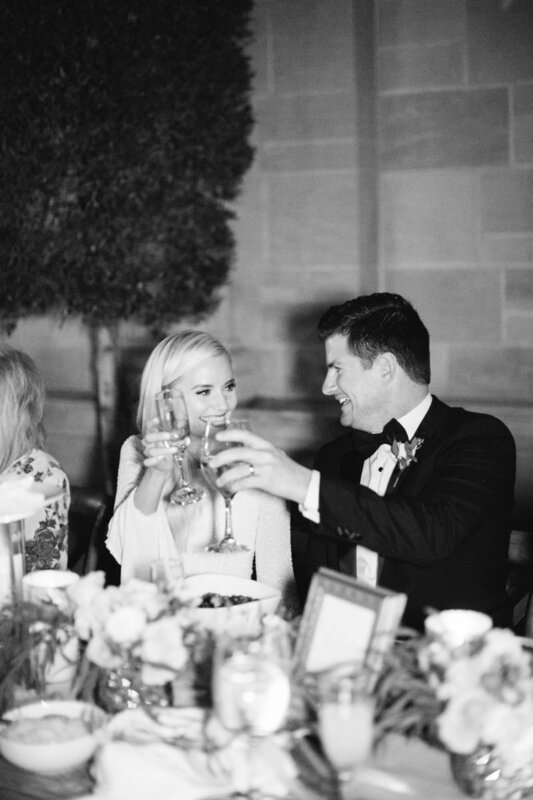 From Ian & Kylee's feature on The Knot, "From the eucalyptus-laced florals to the custom-designed dresses, every detail of Kylee Dell and Ian Morgan's sophisticated fall soiree included personality and timeless appeal. 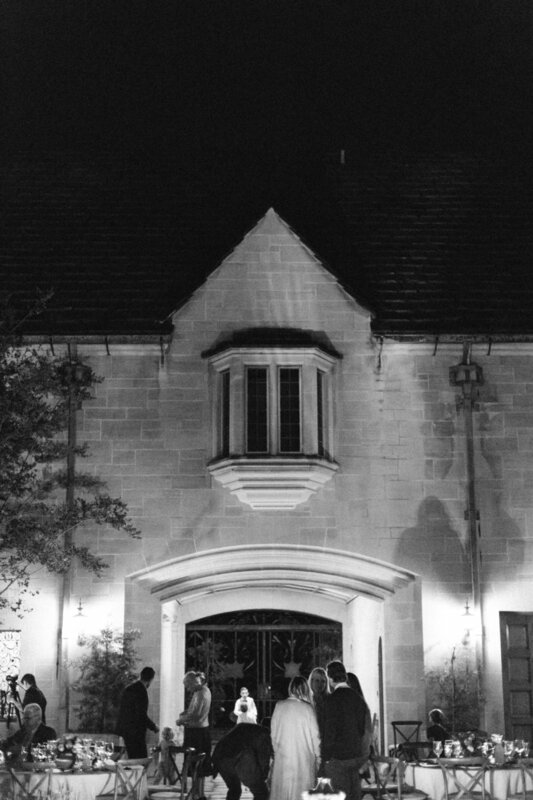 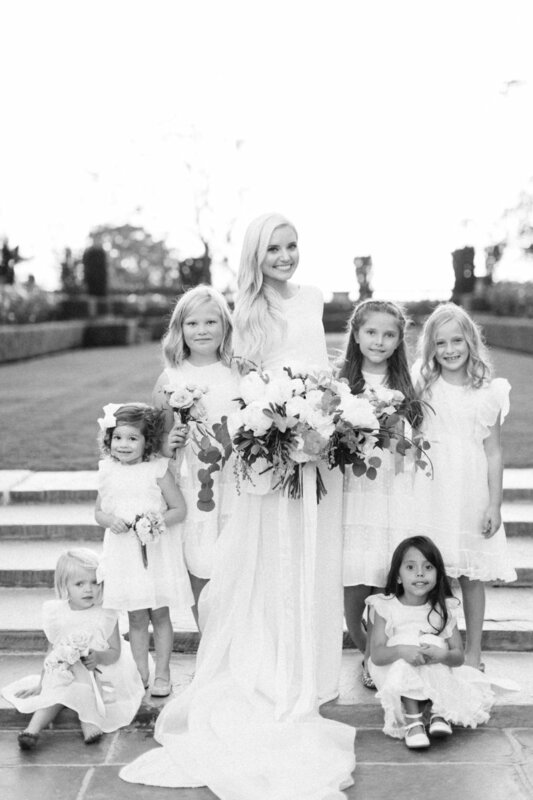 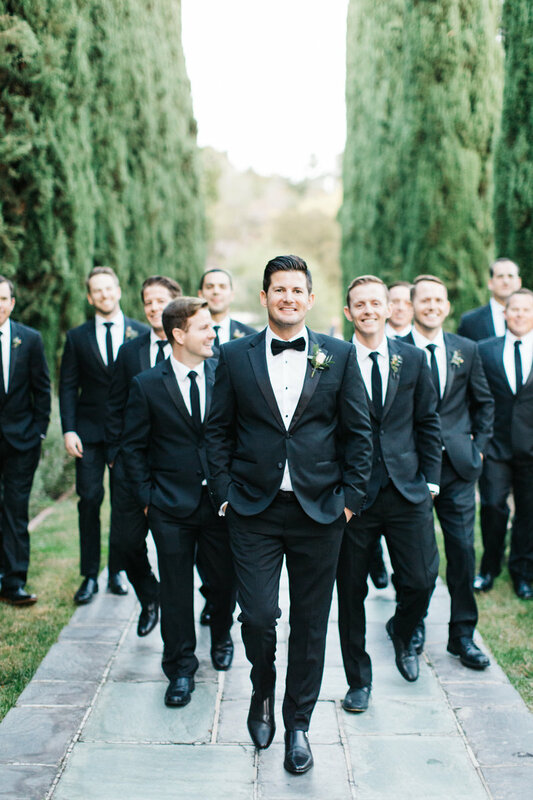 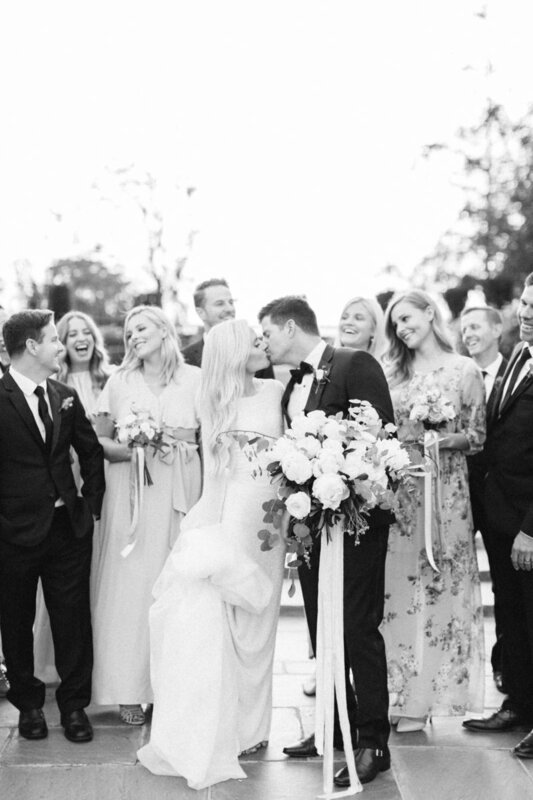 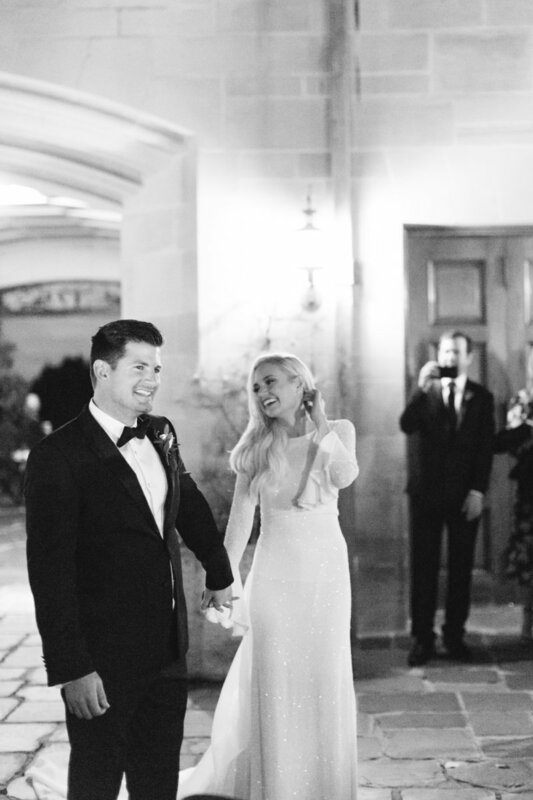 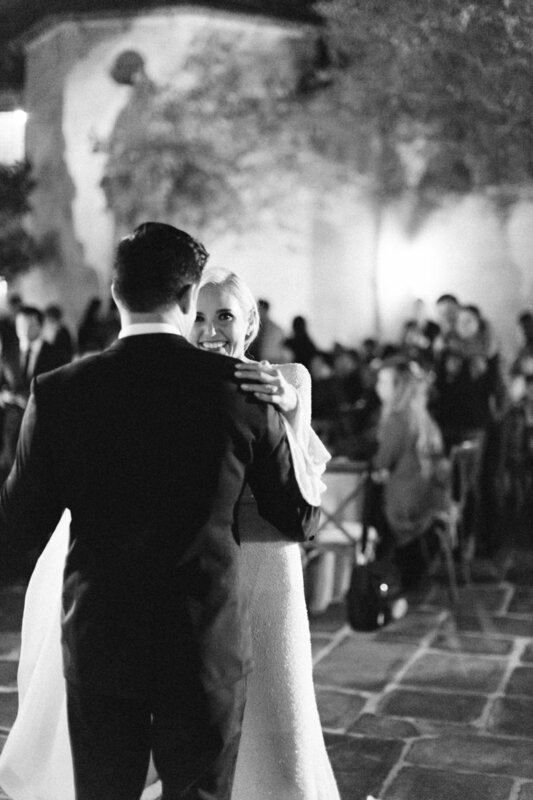 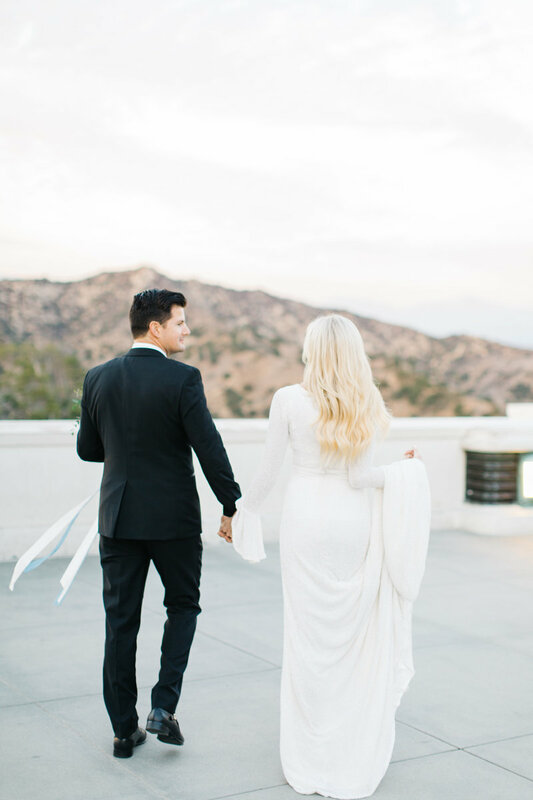 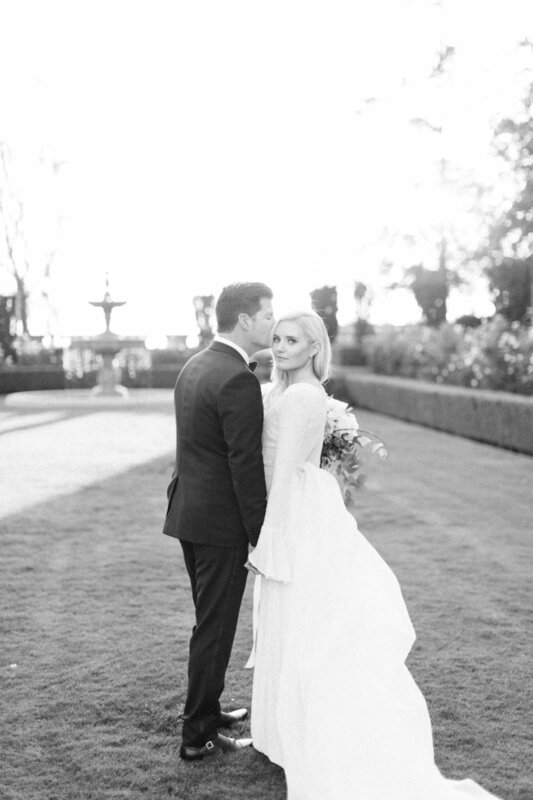 The festivities kicked off with a ceremony at the Los Angeles LDS Temple, followed by a reception later in the evening at Greystone Mansion. 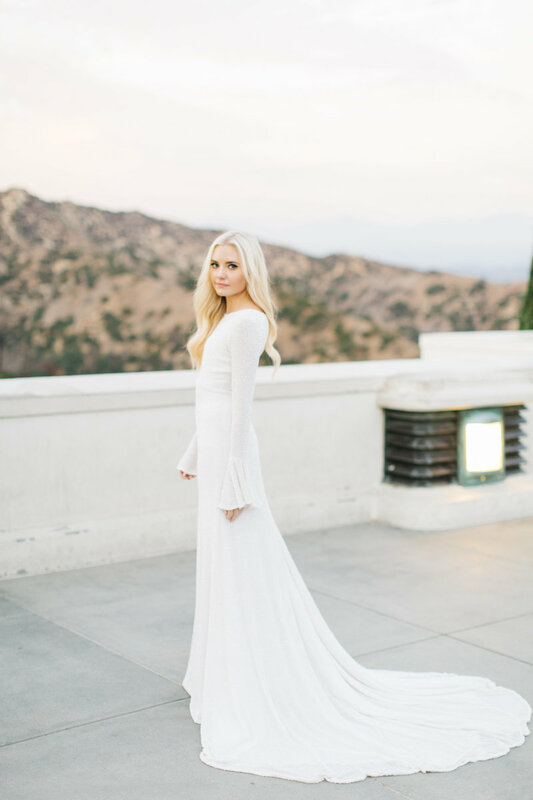 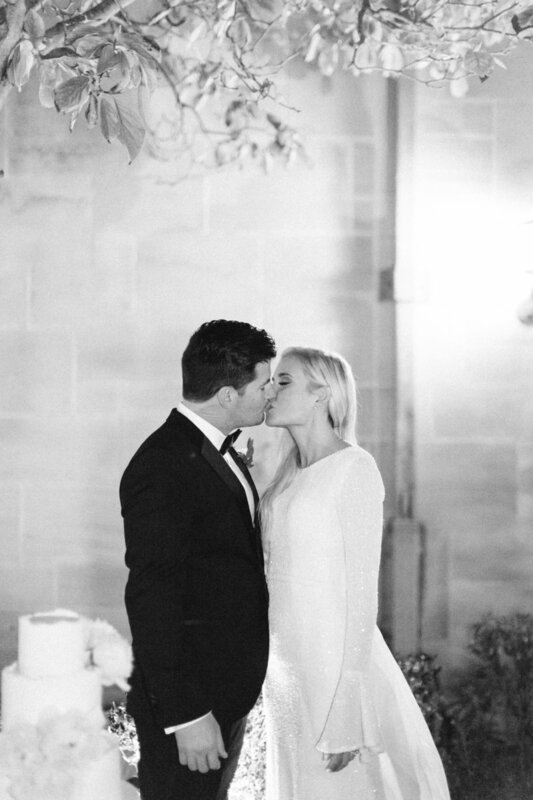 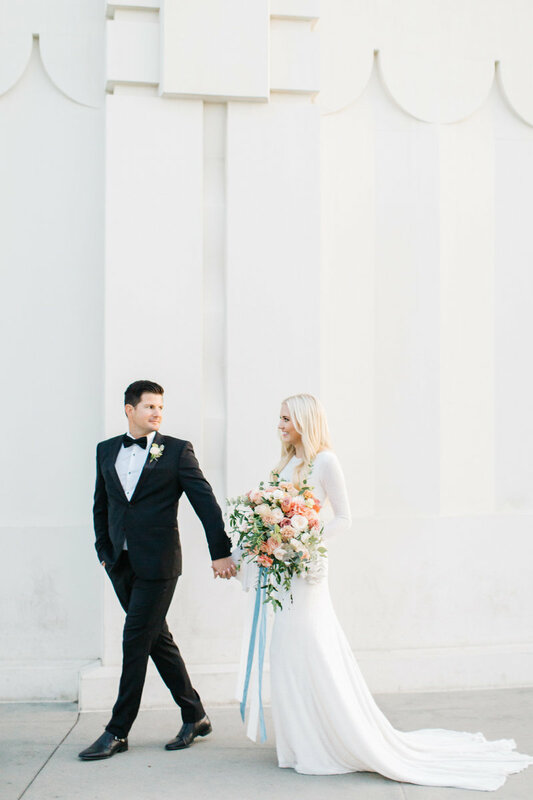 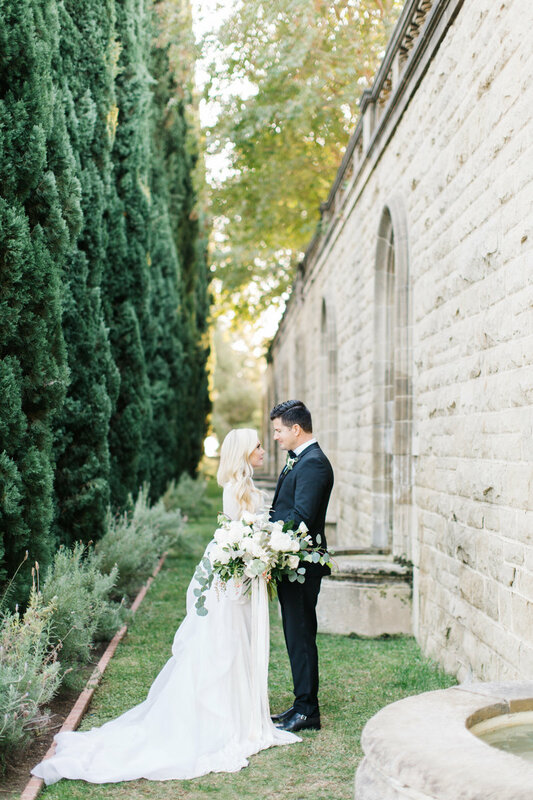 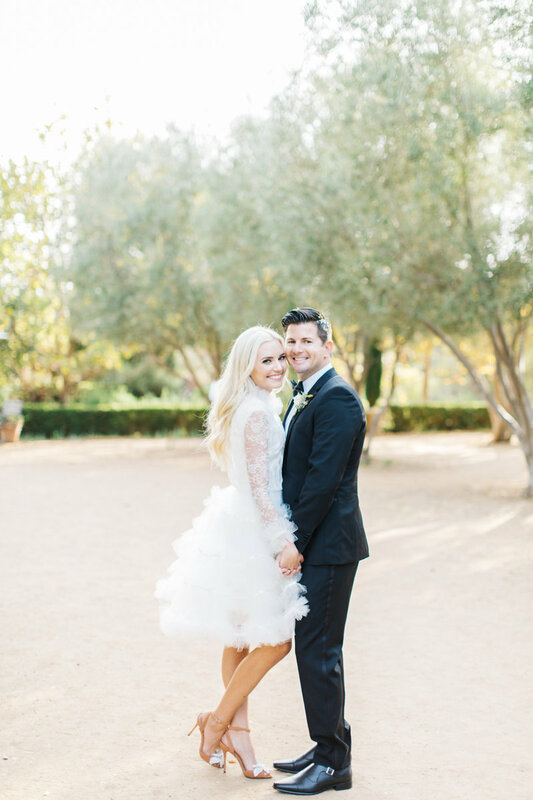 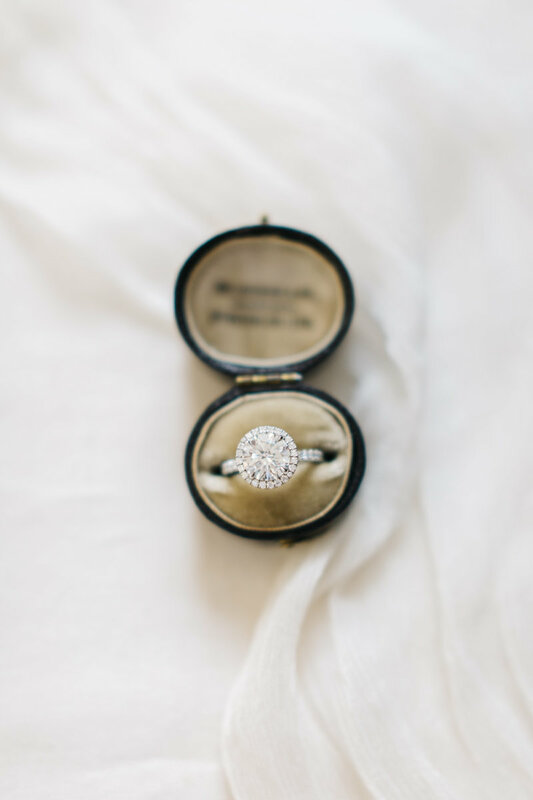 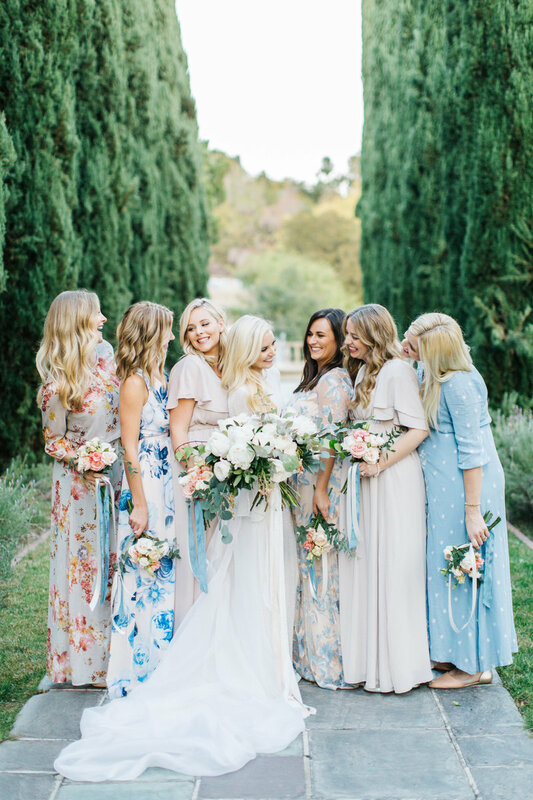 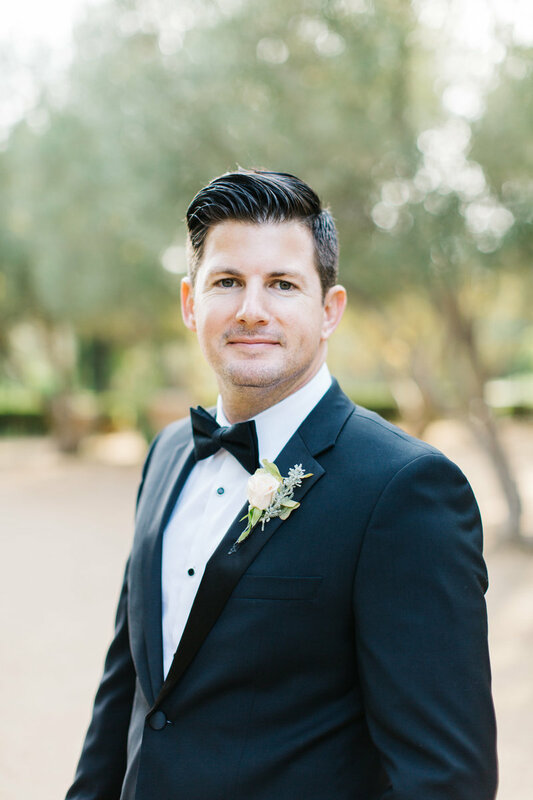 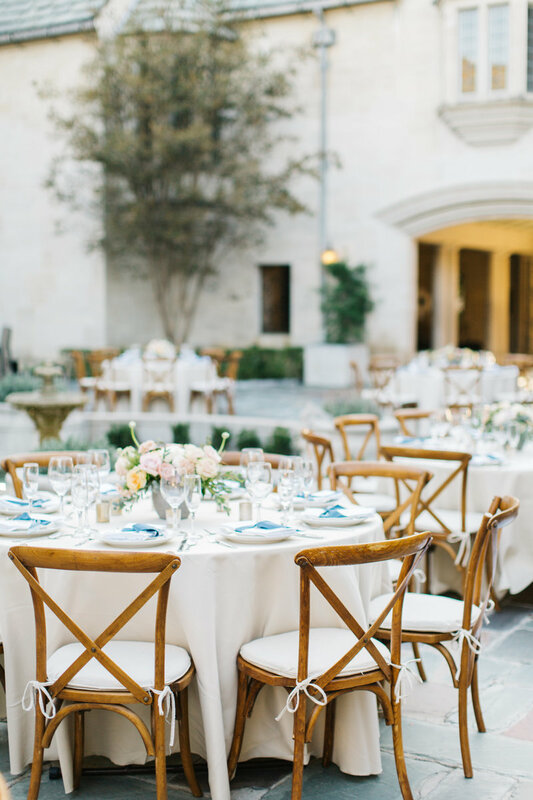 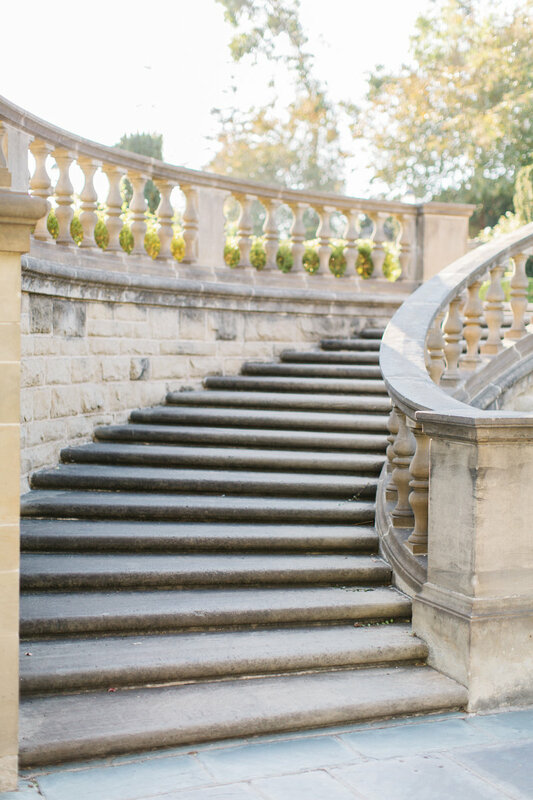 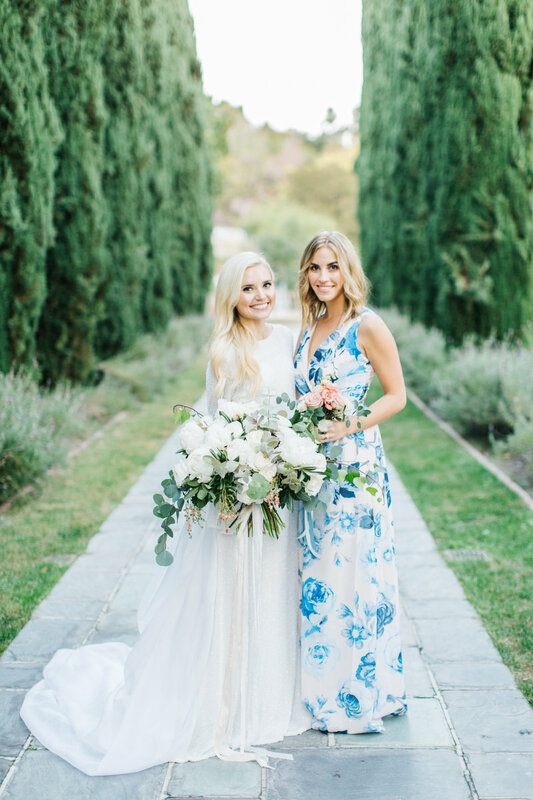 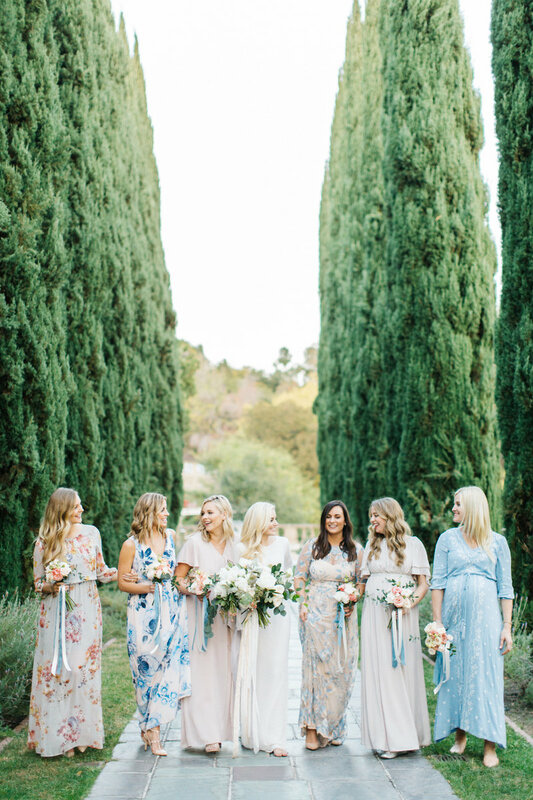 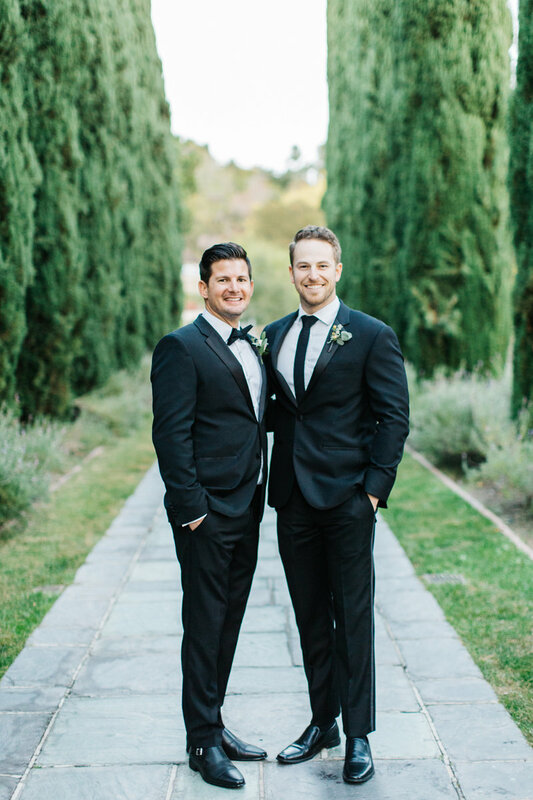 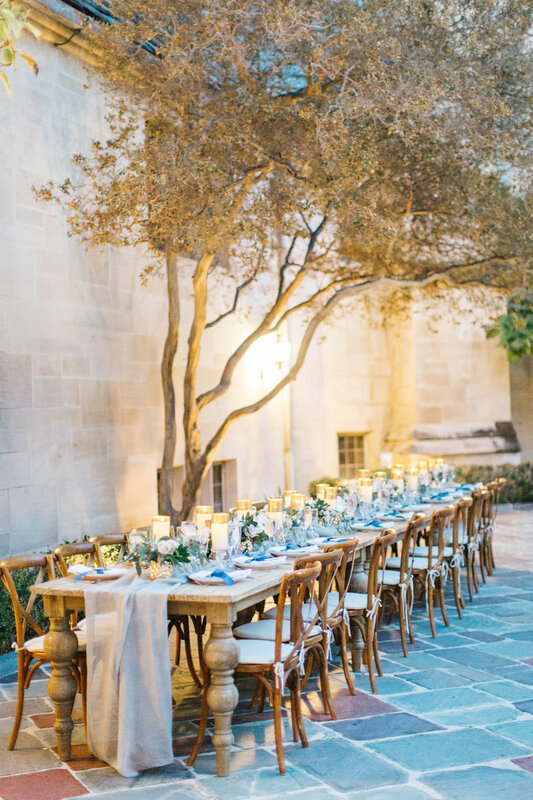 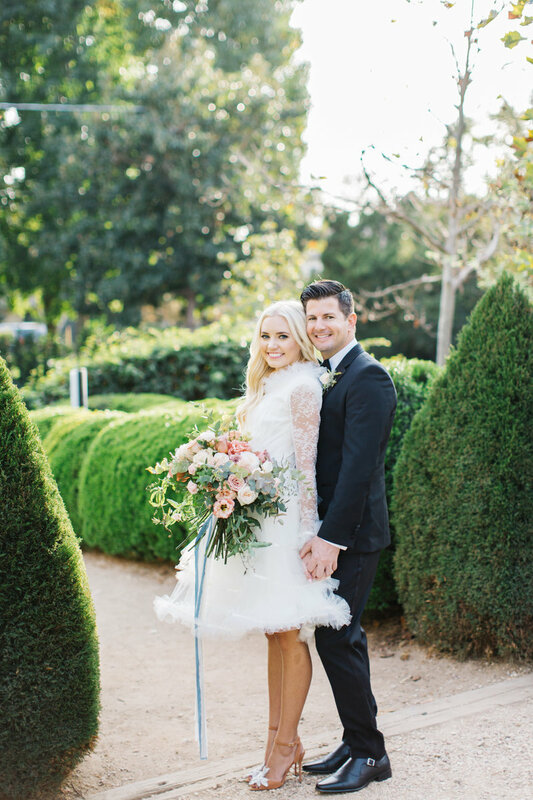 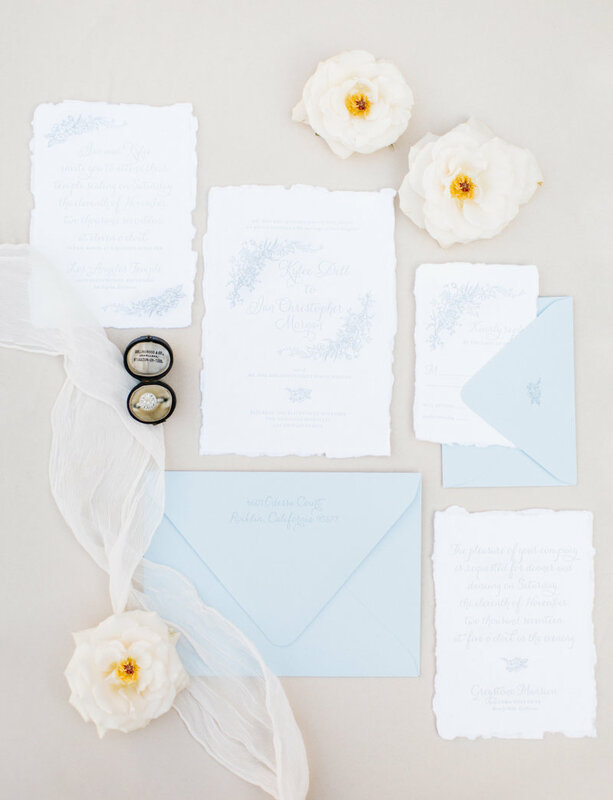 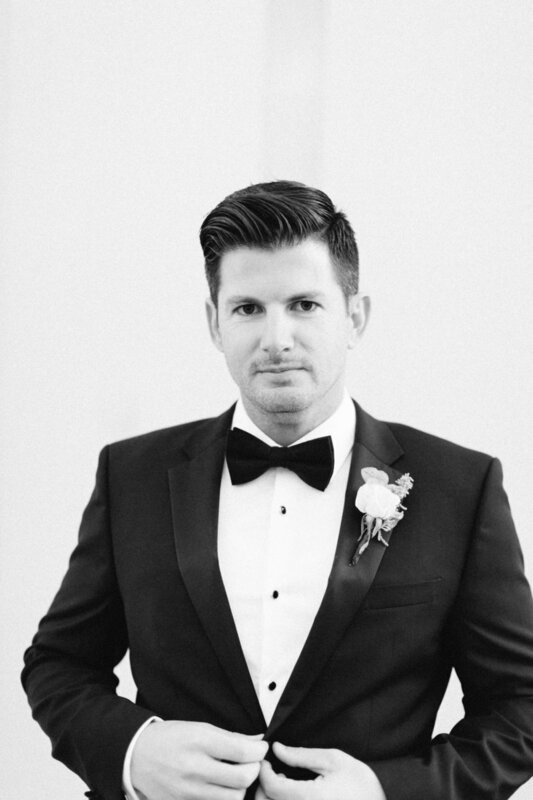 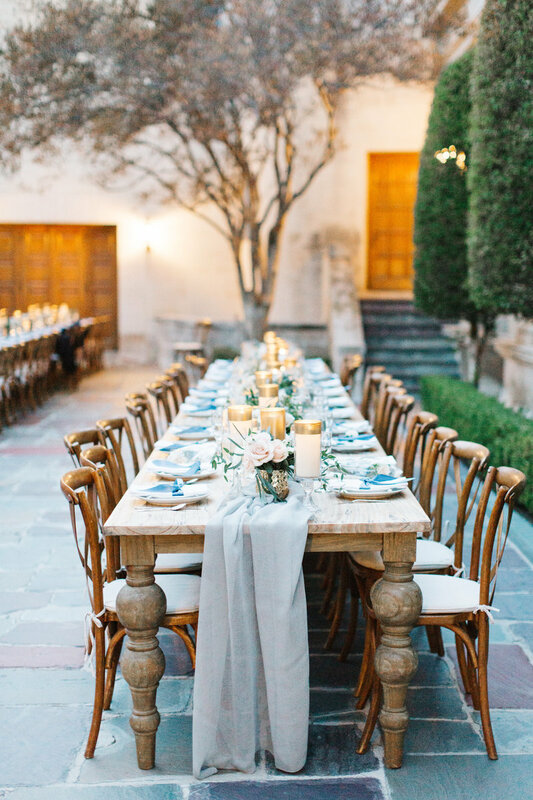 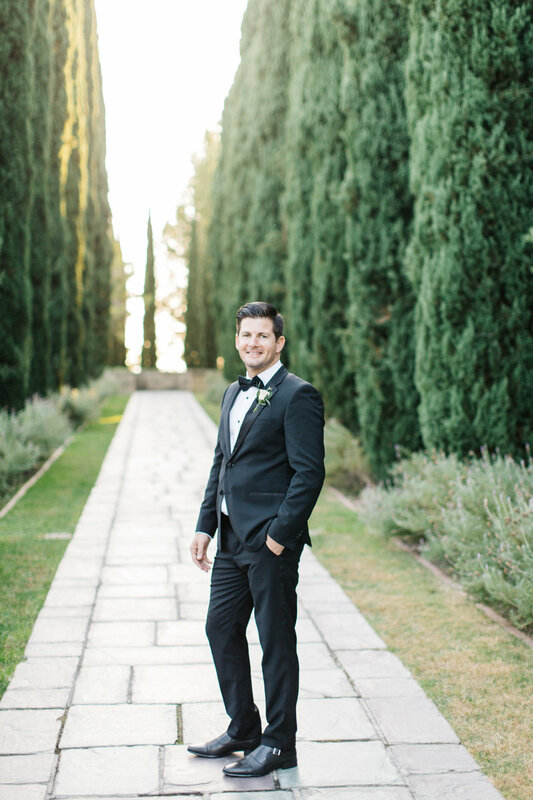 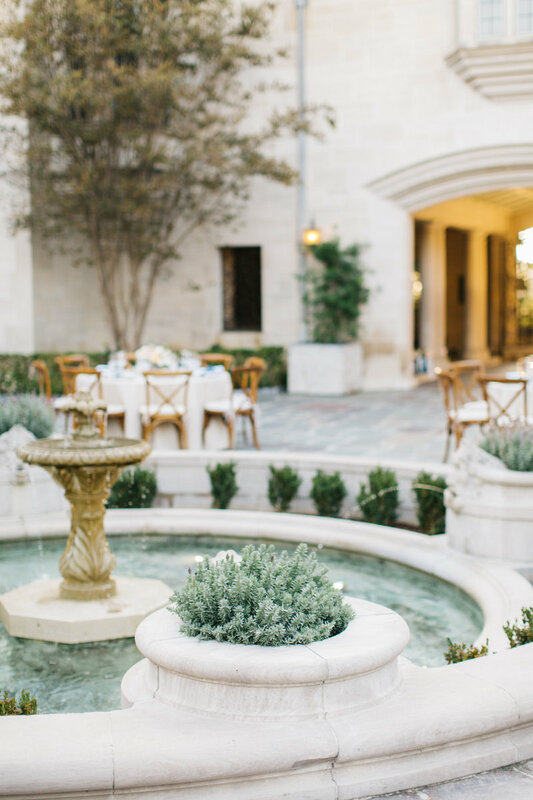 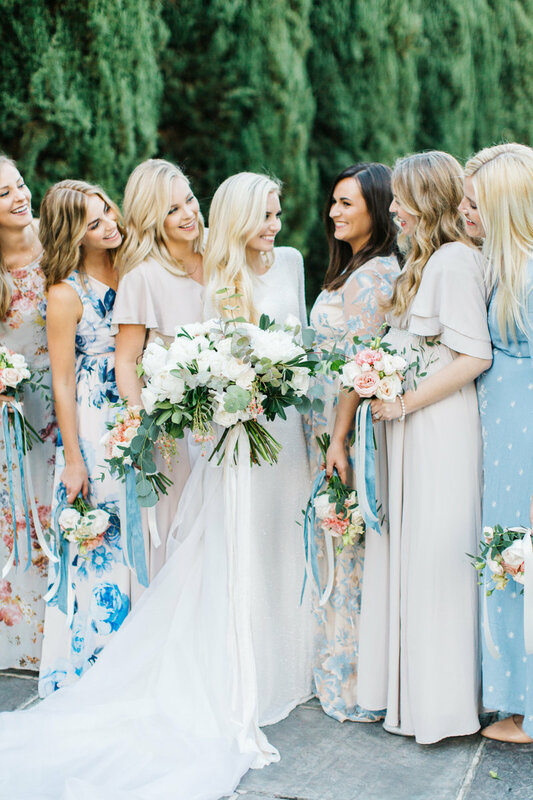 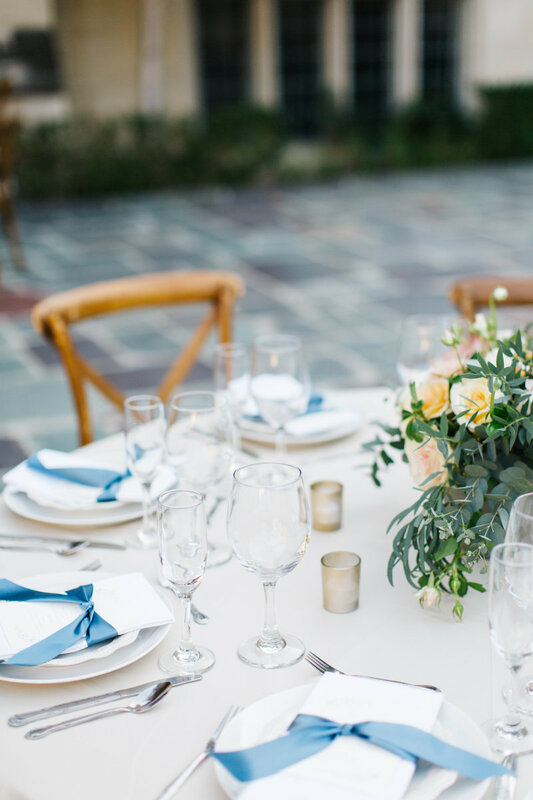 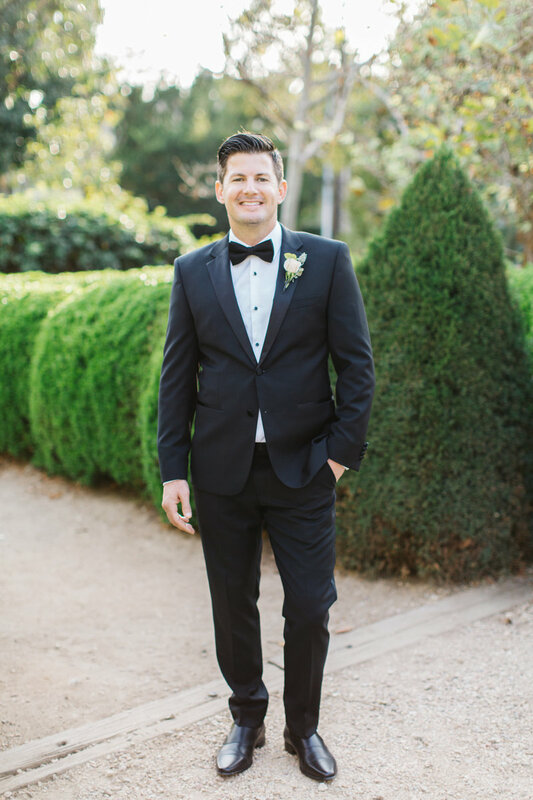 'I felt our venue was very European and romantic, so that served as part of the inspiration in choosing rentals, clothing and décor,' Kylee says. 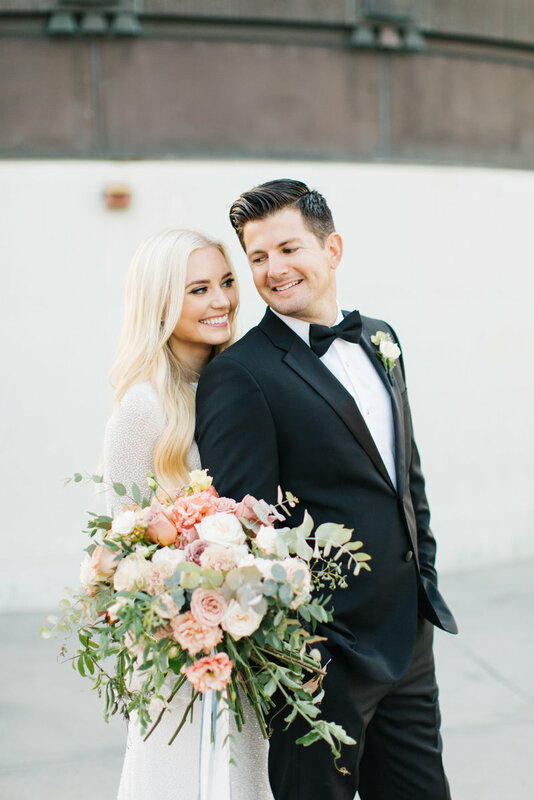 'However, even though our wedding was in the fall, I didn’t really want to go with the typical fall colors—they aren’t really me.' 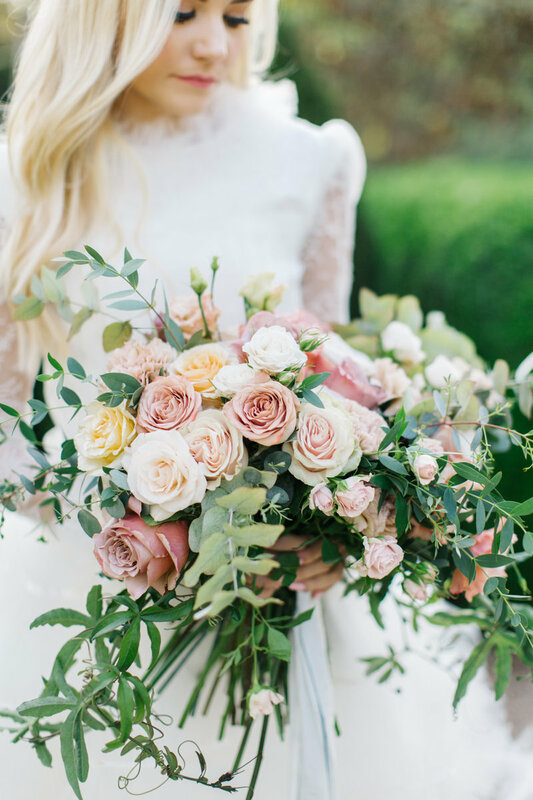 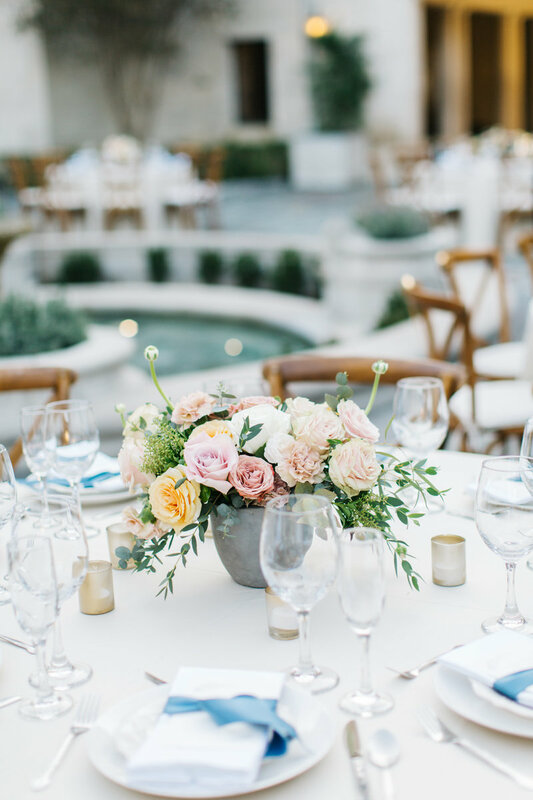 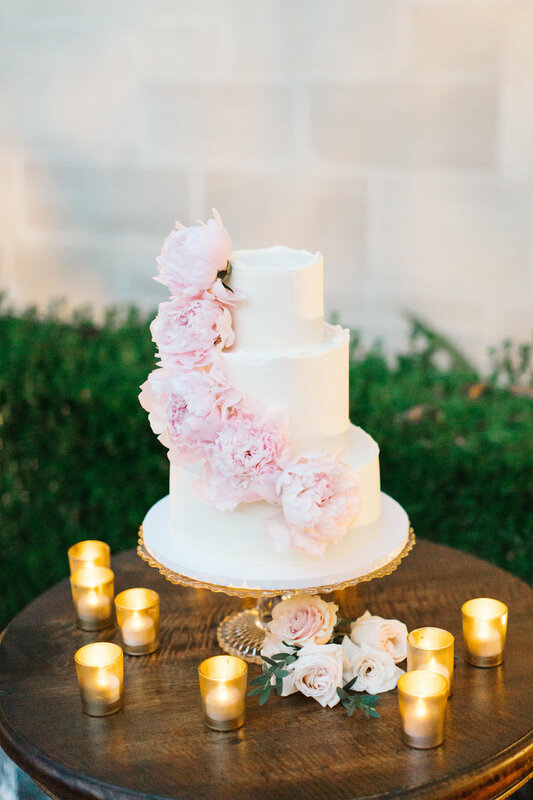 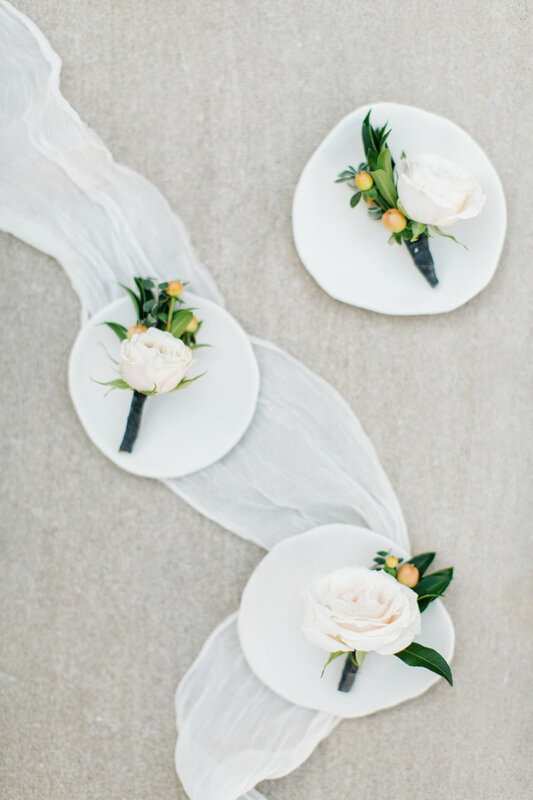 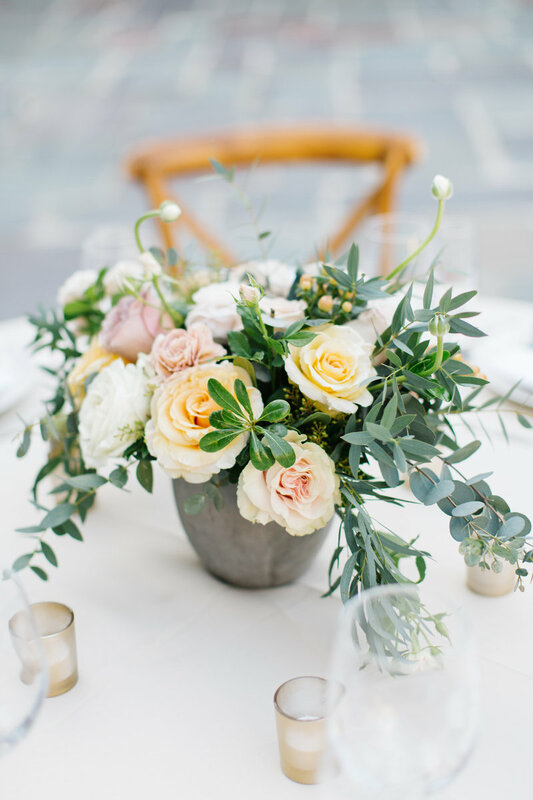 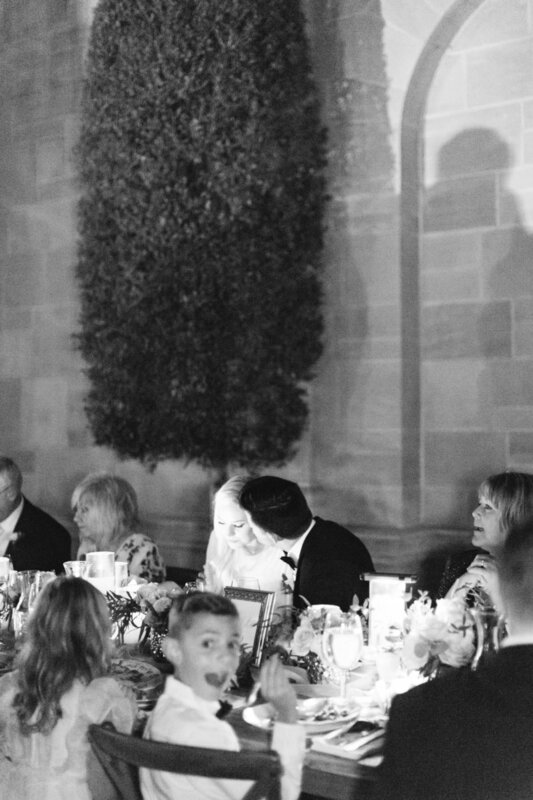 Kylee’s mother, a talented florist, designed all of the flowers for the event, from Kylee’s dramatic eucalyptus and white peony bouquet to the arrangements of blush roses and ranunculus in stone vases that dotted the reception tables. 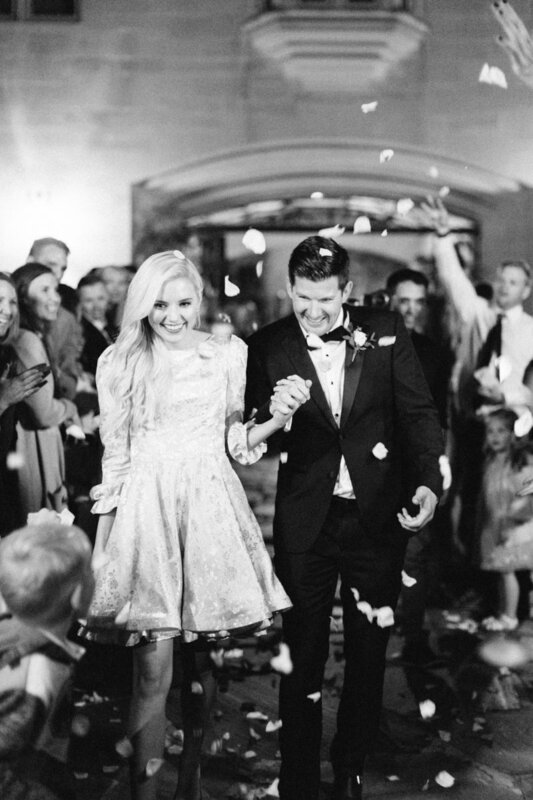 'I knew I would be in good hands with them taking the lead,' Kylee says. 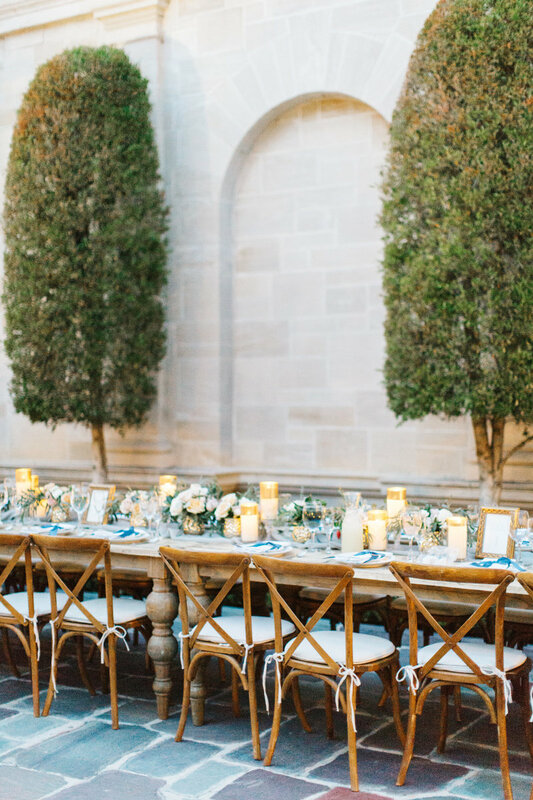 The couple opted for a mix of long, wood rectangular tables and round tables topped with ivory linens to create visual drama. 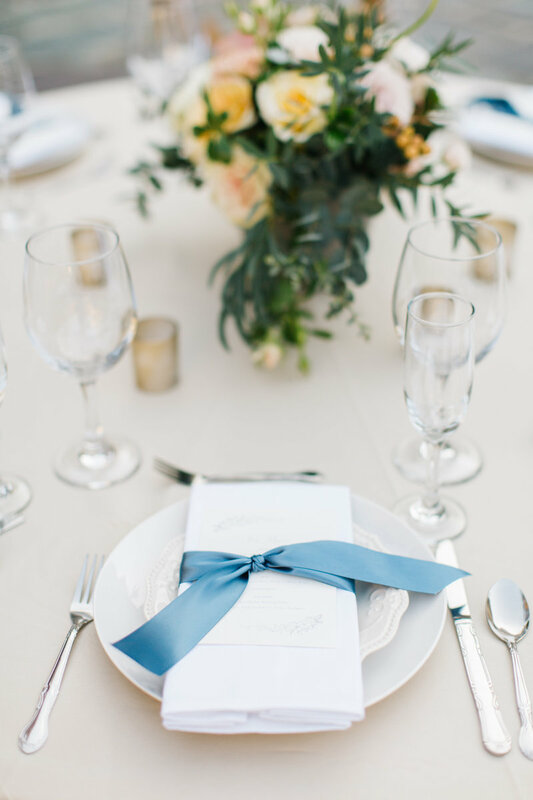 Candles were styled alongside each floral arrangement, casting a warm, ambient glow over the tables, while blue ribbons tied around each napkin and menu added a note of elegance. 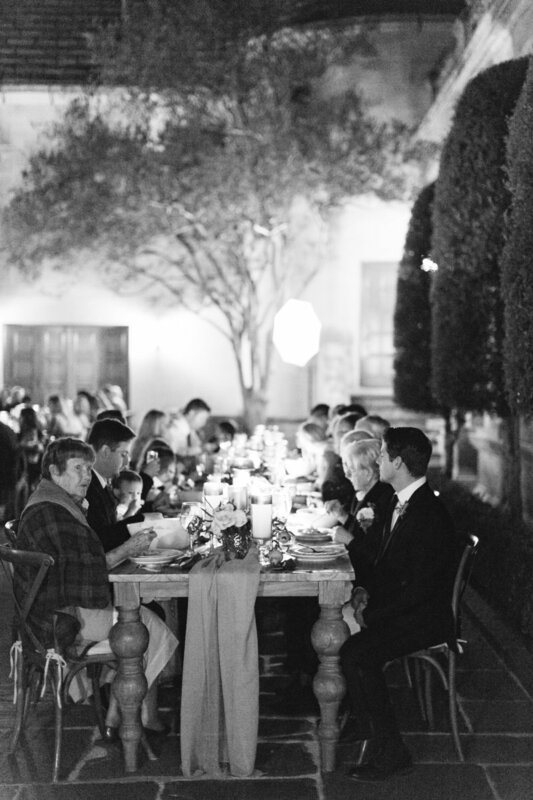 A live band—a must for the fun-loving pair—got guests up and moving after dinner, a mouthwatering lineup of Mexican-inspired dishes. 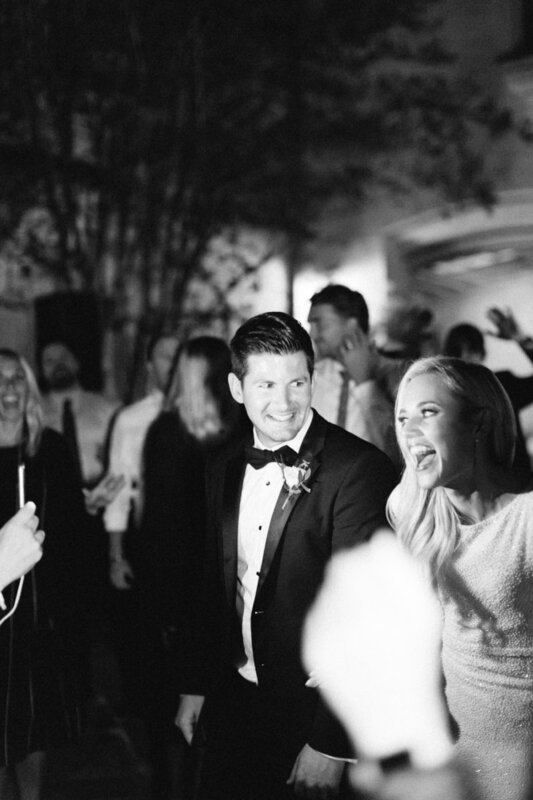 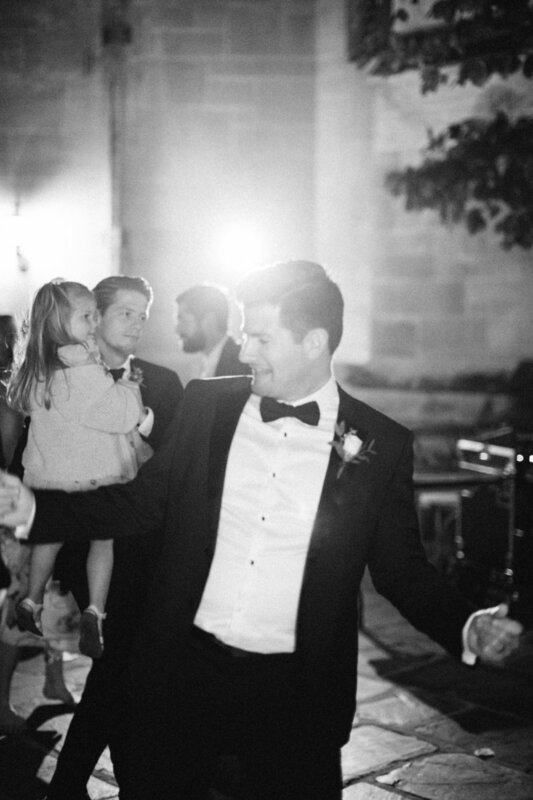 Once the dancing started, Diet Coke, Dr. Pepper and ice cream sandwiches were served out on the dance floor. 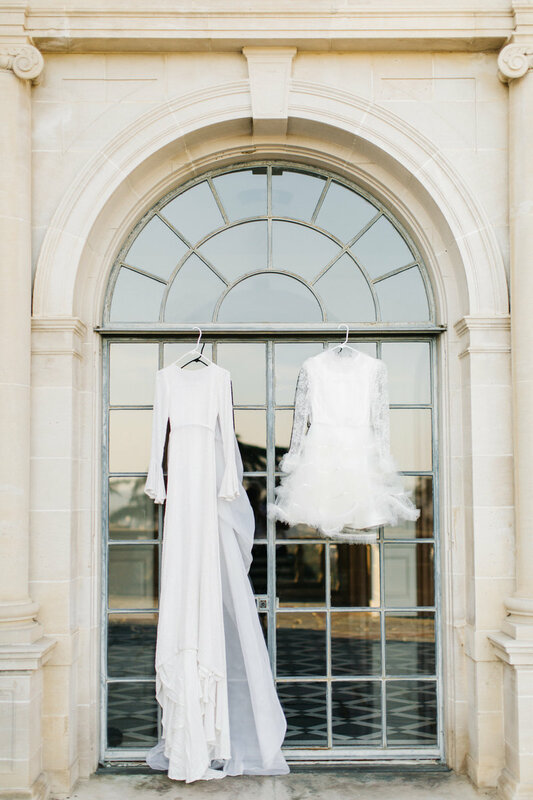 The evening’s standout detail, however, was Kylee’s three—yes, three!—custom dresses. 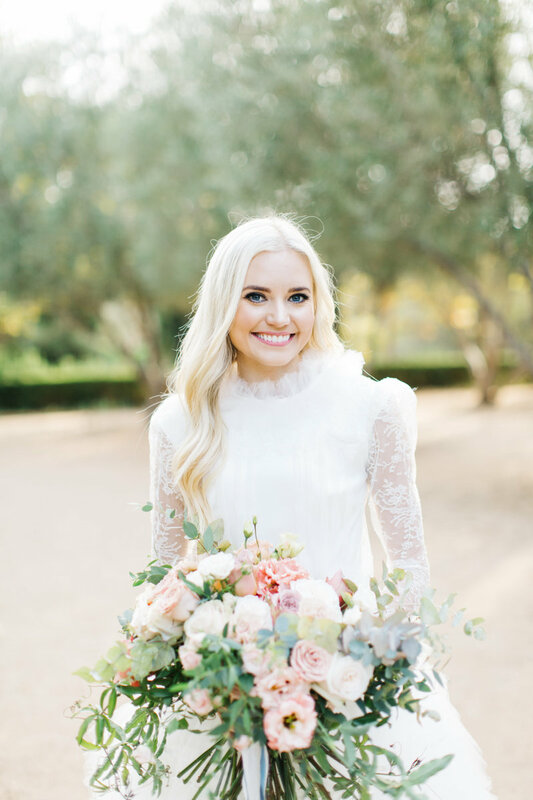 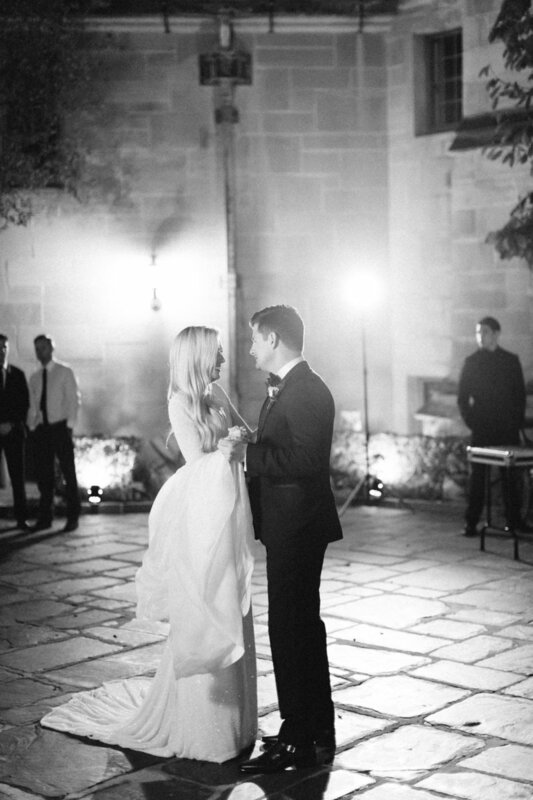 For the ceremony, she donned a short-and-sweet style complete with ruffles, tulle, lace and pearls, then changed into a long evening gown with bell sleeves and sequins for the reception. 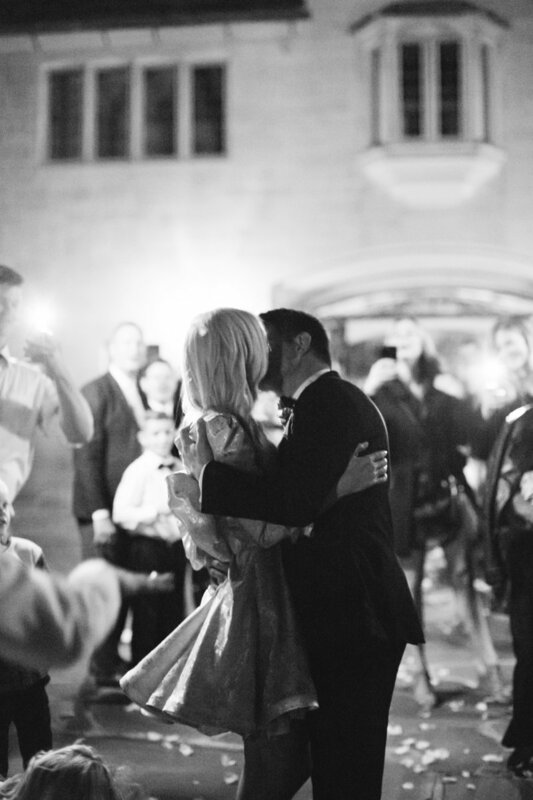 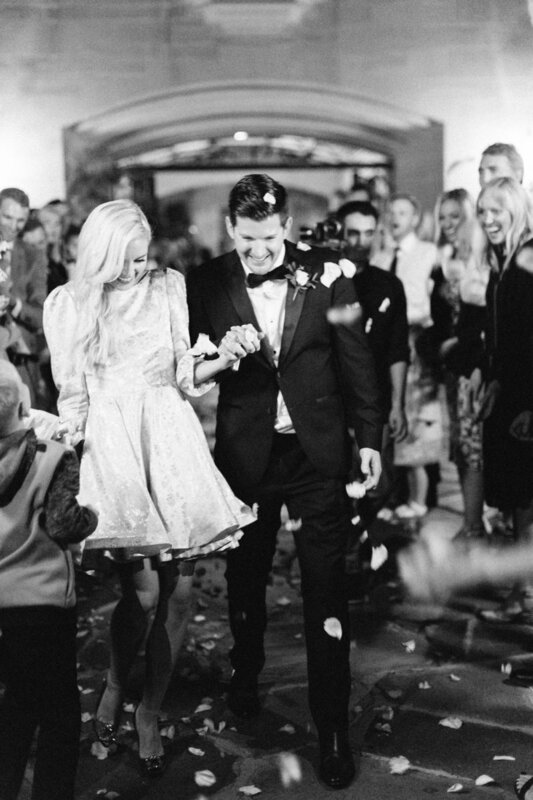 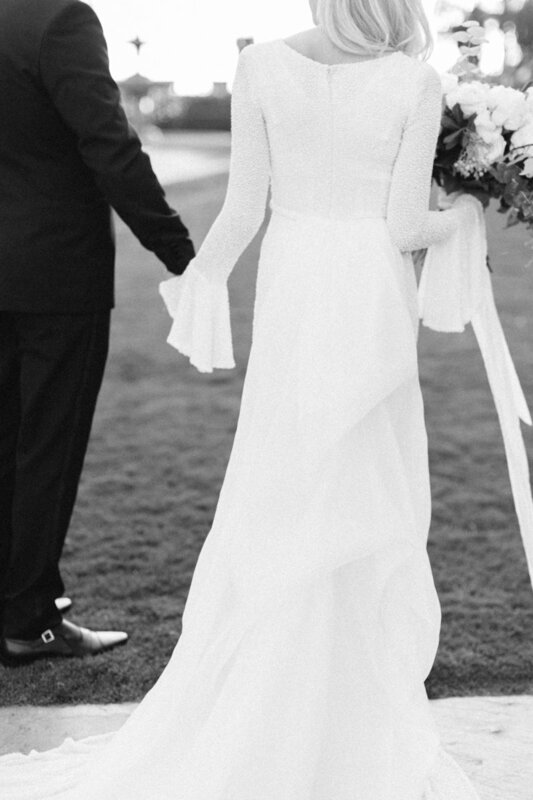 'My favorite part of the dress was the removable organza bustle. 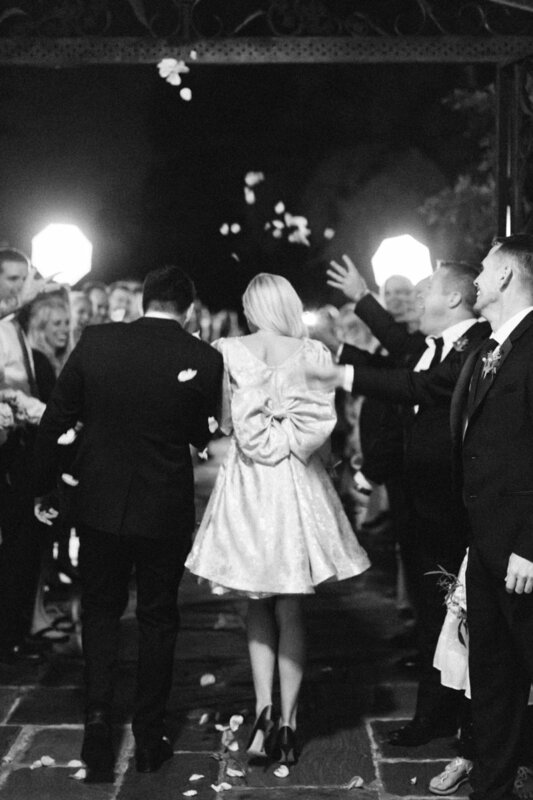 It was so elegant and flowed so beautifully all the way past the train of my dress,' Kylee says. 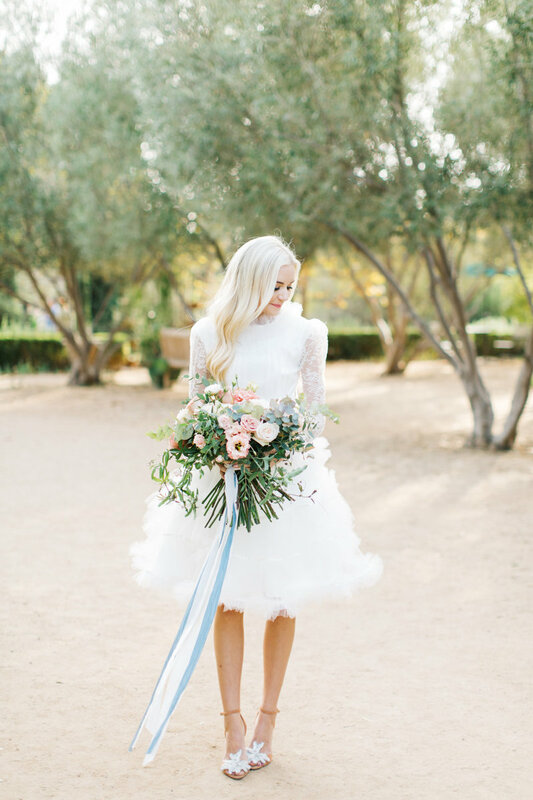 Last but not least was the bride’s 'something blue,' a short dress with a ruffle peeping out the bottom, long ruffled sleeves and an oversize bow on the back. 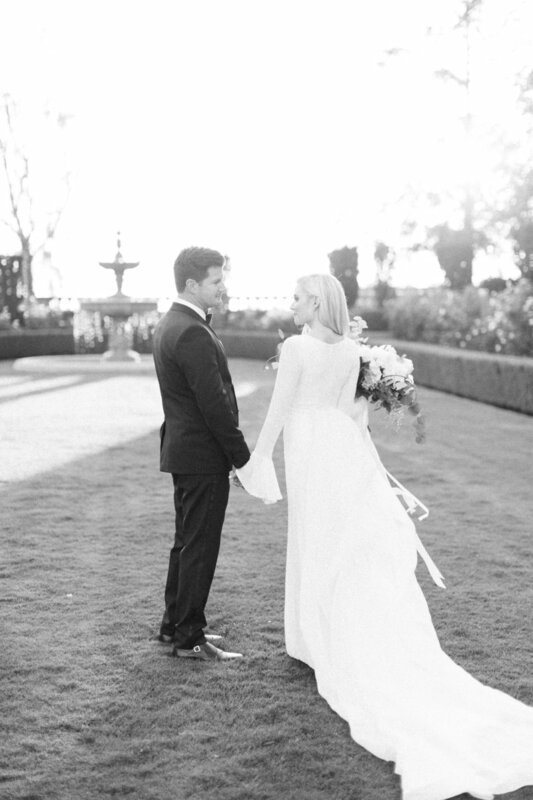 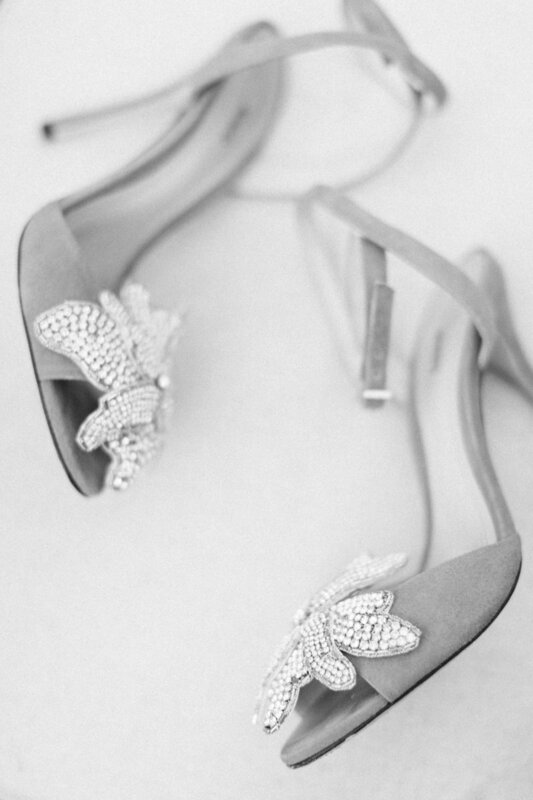 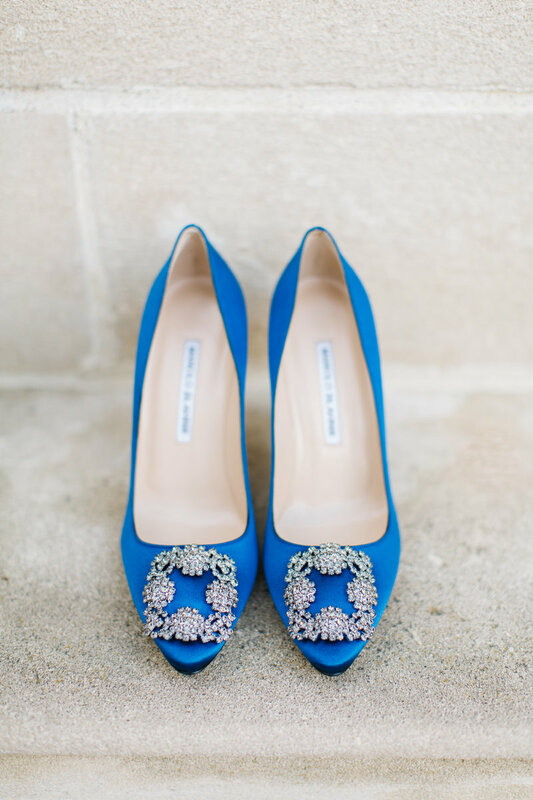 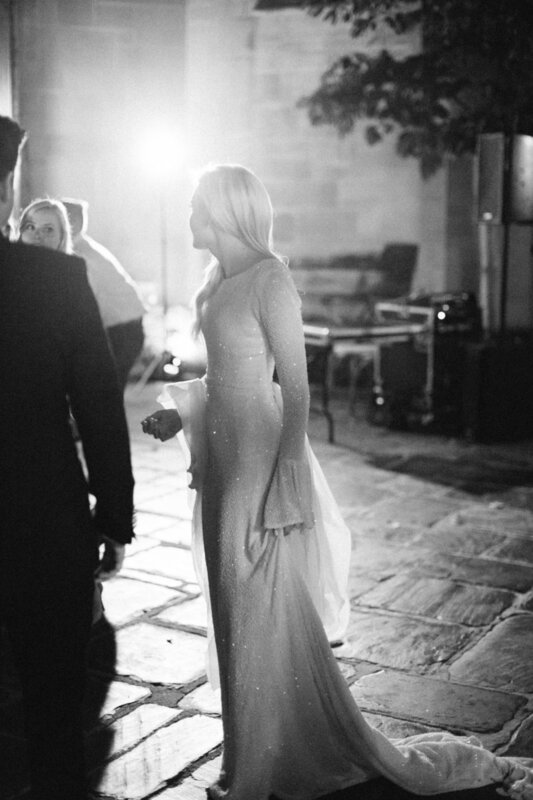 She completed the look with blue Manolo Blahnik heels, a wedding gift from Ian."